Sharjah, UAE will host the third edition of Plastivision Arabia and the second Print Pack Arabia simultaneously at Expo Centre Sharjah from February 22 to 25, 2016. “The UAE imports about 85 per cent of its food, and the country is also importing commodities and ingredients and using local resources to repackage and re-export them. The UAE thus becomes not only a trading hub for food but also a place where regional food processors can source their packaging requirements,” said Saif Mohammed Al Midfa, CEO, Expo Centre Sharjah. The food-related events happening in the UAE during this time attract tens of thousands of executives and decision-makers from food processing units, importers, dealers and distributors across the country and the region. 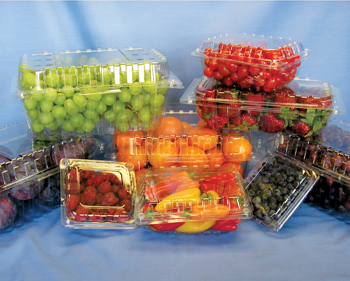 Industry observers point out that the concurrent Plastivision Arabia & Print Pack Arabia shows will be a boon for them to find the right packaging solutions for their businesses. Together, Plastivision Arabia and Print Pack Arabia will be featuring some of the latest printing and packaging technology, materials and machinery that offer resilience, hygiene, protection, attractiveness and above all environmental friendliness and value for money. “The impressive Indian participation and the expanded presence of Taiwanese firms will mostly cater to the processing and packaging sector and thus will be a great opportunity for the regional food industry. The Taiwanese exhibitors will also hold live displays, which will help visitors understand the new technology and decide on their requirements,” added Al Midfa. Both Plastivision Arabia and Print Pack Arabia are held in association with Indian partners – All India Plastics Manufacturers Association (AIPMA) and Indian Printing, Packaging and Allied Machinery Manufacturers’ Association (IPAMA), respectively – which will help facilitate the participation of leading Indian industry players. The shows, which are held once in two years, are expected to better the previous edition’s visitor turnout of more than 7,250, given the steady rise in pre-registrations, visitor enquiries and confirmed visits by business delegations. The Hosted Buyers Lounge from Africa has already received assurance of visits by around 200 buyers from Africa. The third Arabia Mold, organised in association with Demat, the organiser of world-renowned EuroMold, the world’s leading fair for mould-making and tooling, design and application development, will also be held alongside Plastivision Arabia and Print Pack Arabia. Admission is free for trade and professional visitors to all the three exhibitions.